Each BeautyShare product is handmade in small batches by the herbalist behind our brand to avoid unnecessary additives and to ensure peak potency. This beautifully-crafted line has absolutely no preservatives or chemicals and is only made with the purest, highest-quality, natural ingredients, which will leave your skin glowing! Made with a blend of all-organic, plant-derived oils infused with organic Calendula petals, this face wash is designed to remove makeup, draw out impurities from the skin and remove environmental toxins and excess oil, all while preserving the skin's acid mantle (protective layer) and maintaining balance. 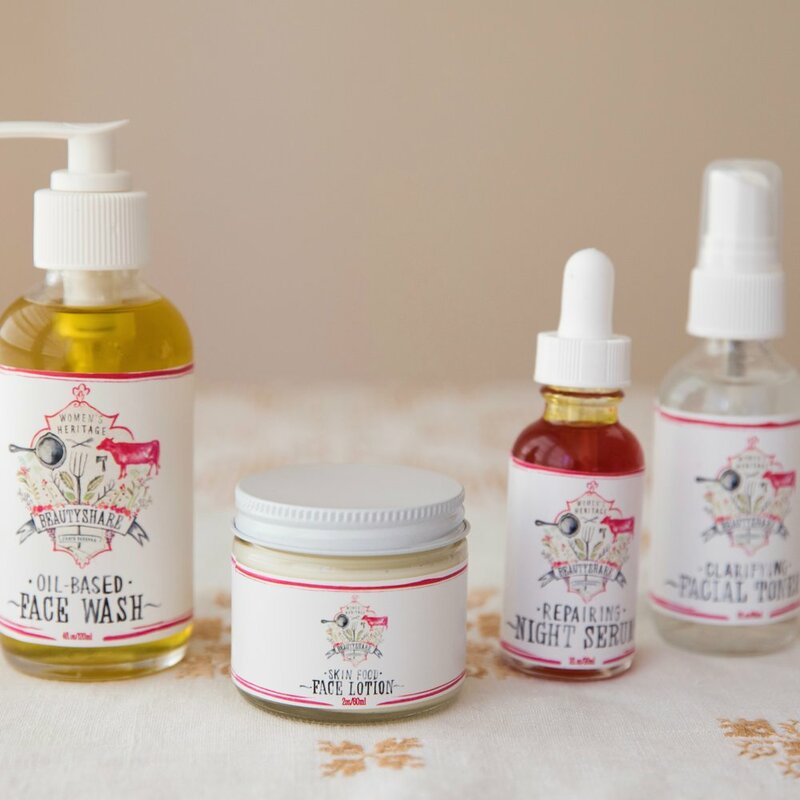 Our oil-based face wash is gentle yet powerful, and it is wonderful for all skin types. Our favorite skin refresher is made with organic Witch Hazel and organic hydrosols (steam-distilled foral waters) of Neroli, Rose and Calendula to balance, tone and hydrate. An essential step in your skincare regimen, this serum packs an anti aging, antioxidant punch! Made with all organic ingredients including Calendula-infused jojoba oil, Rose hip seed oil and Sea buckthorn oil, Jasmine, Geranium and Ylang Ylang.